Amtrak and the Massachusetts Bay Transportation Authority (MBTA) have reached a new agreement governing the operation, maintenance and use of the 37.9-mile Attleboro Line, between Boston and the Rhode Island state line. 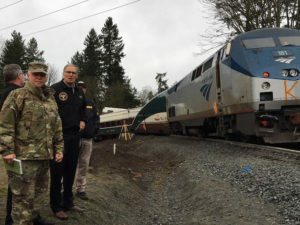 Amtrak will provide maintenance-of-way and dispatching services on the line through 2021. 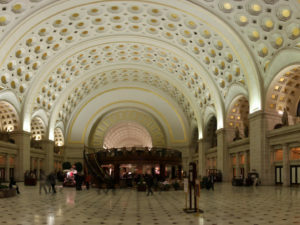 Rail Services from Boston to Washington, D.C. This agreement ends a dispute over applicability of the federal Passenger Rail Investment and Improvement Act (PRIIA) of 2008, Section 212, which created the Northeast Corridor Commission and mandated the development of the Commuter and Intercity Rail Cost Allocation Policy. The Policy, which is meant to provide a consistent methodology for calculating and assessing costs for all users of the Northeast Corridor, was jointly developed by all the owners and operators of rail services from Boston to Washington, D.C. The MBTA and Amtrak have operated under the 2003 Attleboro Line Agreement, which governs the shared use of the rail line in Massachusetts. The line is part of the Northeast Corridor, the busiest railroad in North America, with approximately 2,200 Amtrak, commuter and freight trains operating on some portion of the Washington-Boston route each day. The MBTA now assumes responsibility for directing the capital program on the Attleboro Line. MBTA and Amtrak will contribute to capital projects and operating costs in a manner consistent with PRIIA and the Cost Allocation Policy. Amtrak will allow the MBTA to use South Station’s system for dispatching of the south-end branch lines, charging for its use of these facilities based on a proportionate sharing of facility and system costs.